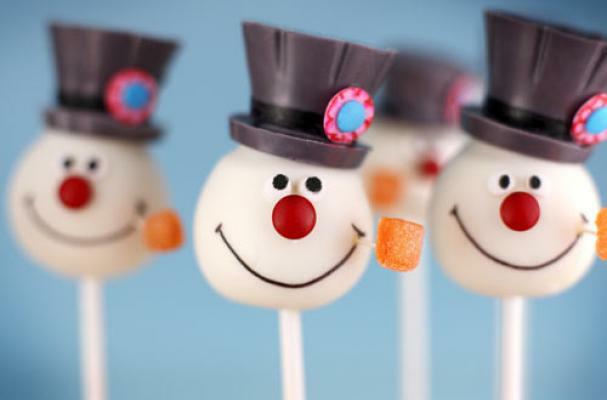 Bakerella's Frosty the Snowman Cake Pops are an iconic confection. Topped with a Reese's Peanut Butter cup as his infamous hat and a mini red M&M nose, the pops are identical to the corn cob piped man. For another snowy treat of Bakerella's, check out her snowman cake pops.